WordPress is the best option for creating business websites and portfolios, due to its ease of use for beginners and low costs it puts the option of a great looking website in the hands of most small businesses. WordPress is free to download and install and you can have a wide choice of hosting companies these days which cater for all types of budgets, from small bloggers up to large enterprise companies. 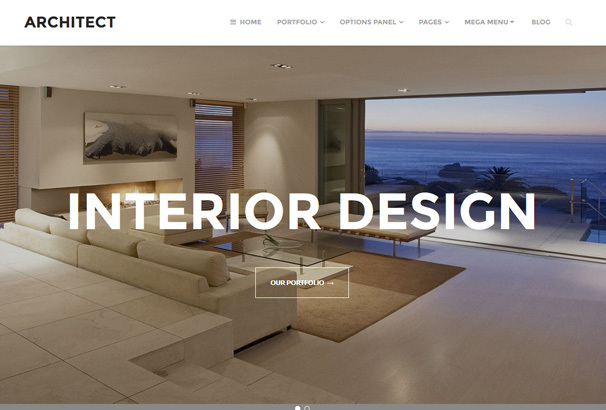 If you are an interior designer then having a great looking website is essential, as your calling card for your design skills you need a website which is tasteful, well designed and can show off high quality photographs of your work. 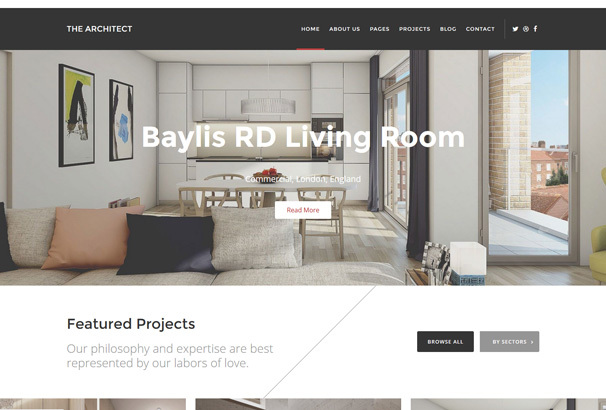 Luckily there are a number of WordPress themes designed especially for interior designers, these types of themes will let you create a portfolio of work and list your services as well as providing a quick way for potential customers to get in touch with you. If you could your website with a good social media presence, such as utilizing Facebook, Instagram and Pinterest you can drive traffic back to your website. High quality photos are a must so make sure that you take good before and after photos of every job you do and post them to each social network, this in turn creates high quality visual content which your customers can be inspired by and inquire about your services. 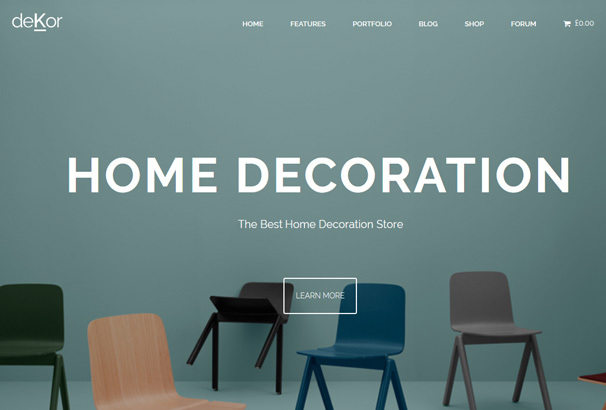 In this list we have hand-picked over 50 of the best Interior Design WordPress themes which you can use to build your website. 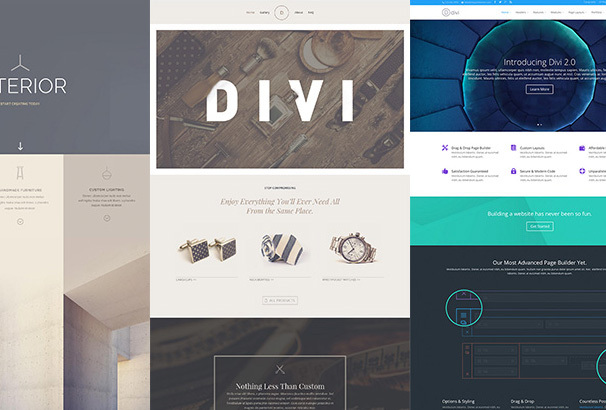 Divi gives you the possibility to add text content, the benefit of real-time design, enjoy responsive editing and customize everything, without touching a single line of code. The builder allows you to create visually compelling websites, displaying a good deal of content at once, without losing hierarchy and clarity. While the builder comes with amazing features, it also has versatile themes and options for adjusting your website’s color palette, uploading your logo, adding third party scripts and more! 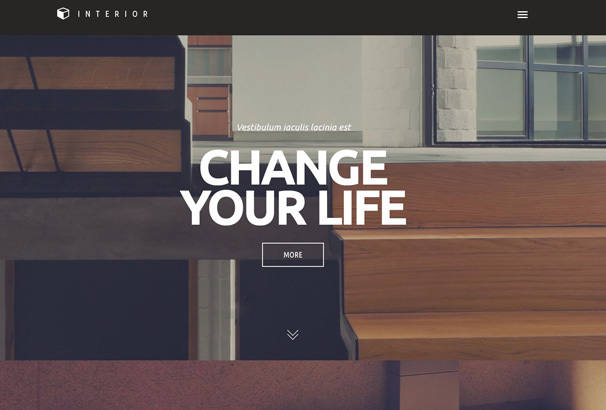 Engage your audience with this easy to setup WordPress Theme. It is incredibly useful when it comes to creating a brand identity. Flexible enough to be used by anyone who is not familiar with programming, this theme comes with very detailed and easy to use documentation, allowing you to put an emphasis on captivating images. 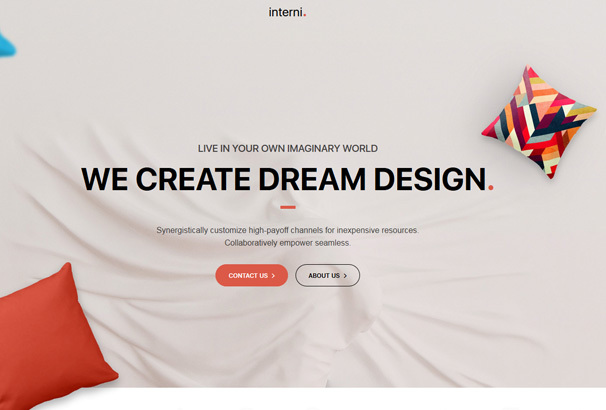 Have a look at the Interior WooCommerce Template, an elegant design theme that strips away all the unnecessary things and lets you focus on the message and communication. 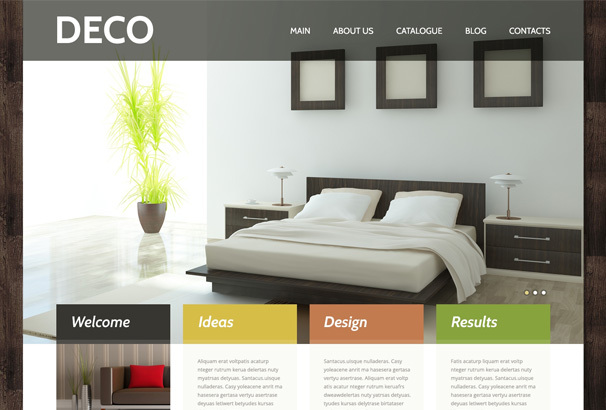 You can either present your work professionally on the web or display your interior design products in a great manner. Brilliant functionality, extreme simplicity and minimal nature of branding. Home Décor gives effectiveness without foregoing your design aspirations. If you’re looking to set up a modern store, you will definitely give your customers a pleasant shopping experience with this striking, yet minimalist design. 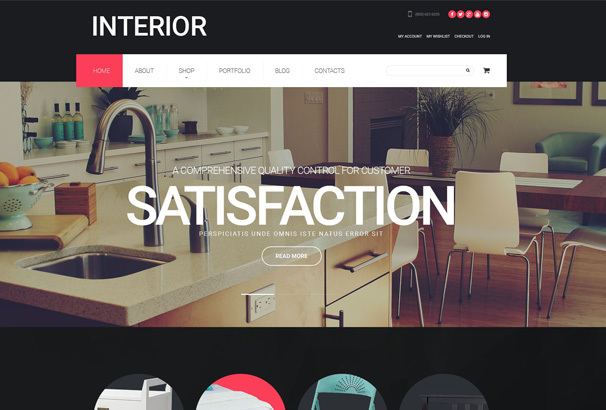 Consider this high-quality Interior WP Template that saves you a huge amount of time and effort in creating your desired online shop. Fantastic functionality in a truly remarkable interface, a great tool for any small business who needs to develop a modern site on a tight budget. 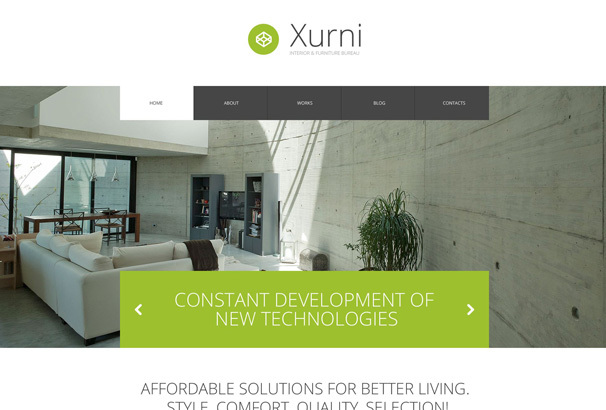 Xurni is a multipurpose interior WP theme. A simple, well-structured and dynamic template with lots of features and a functional design that creates easy legibility. Using its fully featured options will clearly direct your message and your overall communication. Besides that, it is fully responsive and compatible with laptops, large desktops, smartphones and tablets. If you’re searching for a powerful solution to display your interior artwork, don’t look any further! Prima has it all! Excellent framework, flexibility, custom portfolio/blog layouts, and, most important, a simple, yet purposely scaled design. Creo is a custom design multi-functional WP theme that looks great on high-pixel density devices. Modifying the layout or changing the color scheme won’t be a hassle anymore. Even if you have very limited computer skills, you will still be able to play with elements’ positioning and add whatever suits your website best. You will be impressed with its quality and reliability. 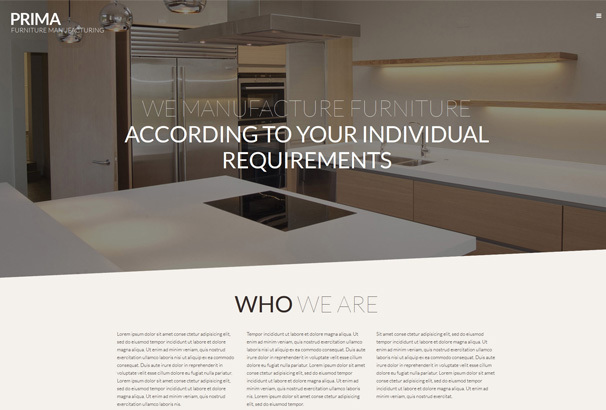 Interior lets you set up a wide range of product pages in a clean and unique design. 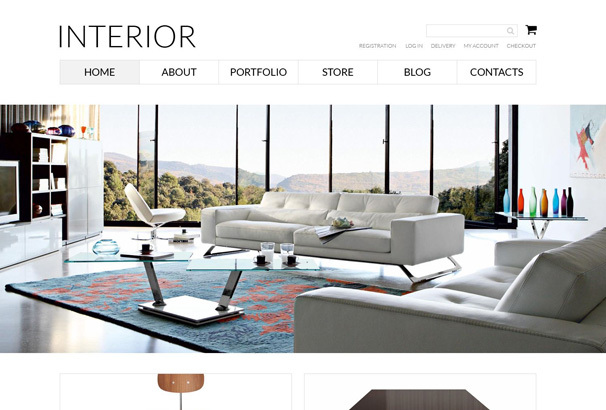 This theme is perfect for online stores offering furniture or interior design services. It has an intuitive visual interface that looks wonderful on any platform. Besides that, you can create an amazing website, customizing the template without any coding skills. This theme comes with a multitude of features including video integration, audio player, blog, portfolio, advanced theme options, custom page templates, unlimited sidebars, and colors. 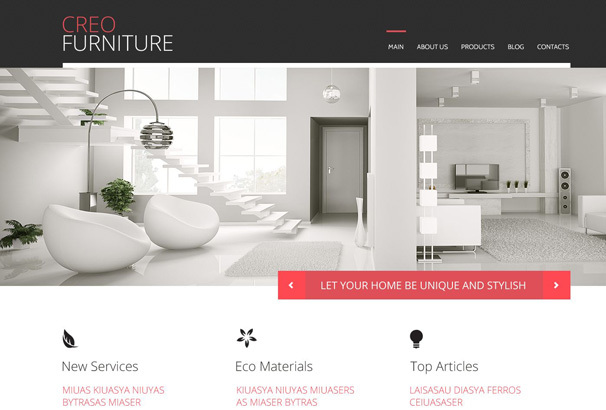 You can use it for an interior design company or a furniture store. This lightweight, stylish theme will provide you with one-click access to the template’s main design settings such as color and font customization.Thanks to its impressive features, you can either use it for an online shop, portfolio or blog. 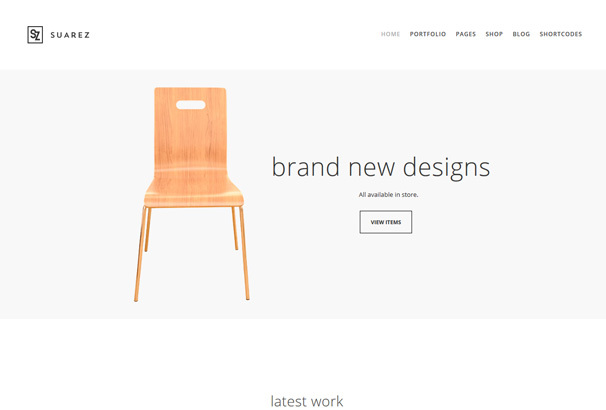 The template respects your minimalist design values, displaying an eye-catching composition. 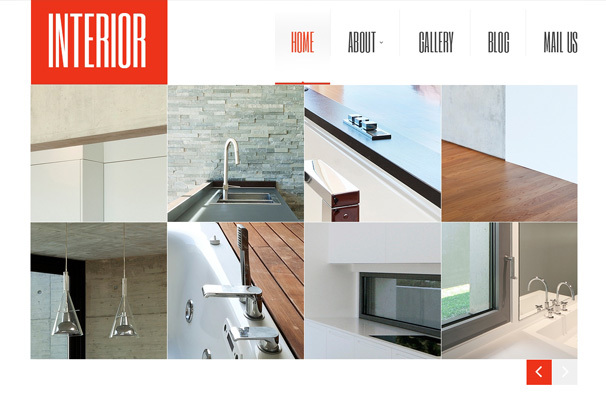 Deco has a high degree of flexibility in terms of customization. It gives you the ability to choose different colors that fit with your project. 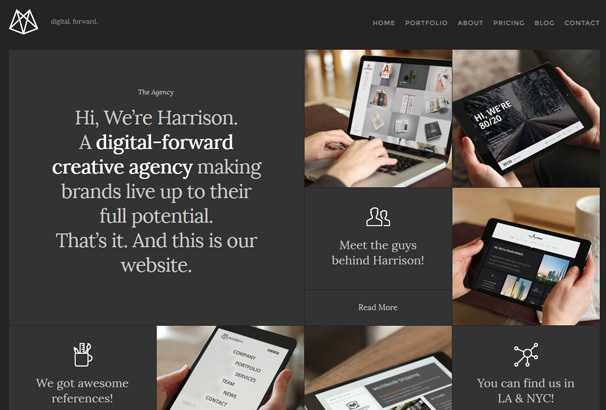 Your new website could include a selection of portfolio grids, appealing sliders, and many other additional features. In its default homepage configuration, the Interior theme will display your design portfolio, making it easy for your visitors to scroll down and check your best items. It is specially made for interior design services, commercial design, office design, furniture design, and architecture. You can now use a bunch of features and combine the right colors, textures, and styles. 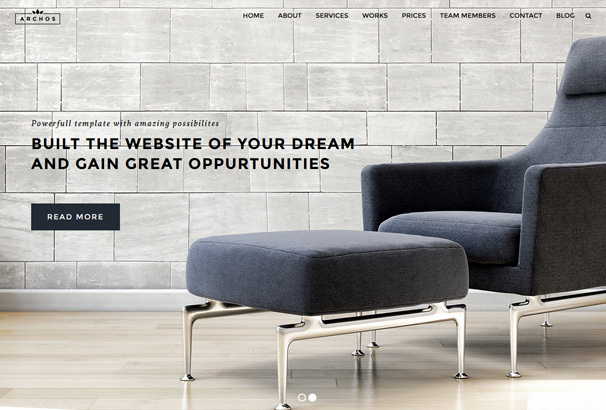 Your website will stand out of the crowd with a stylish and modern style. Having enhanced accessibility, this template allows you to get you website online as soon as possible. 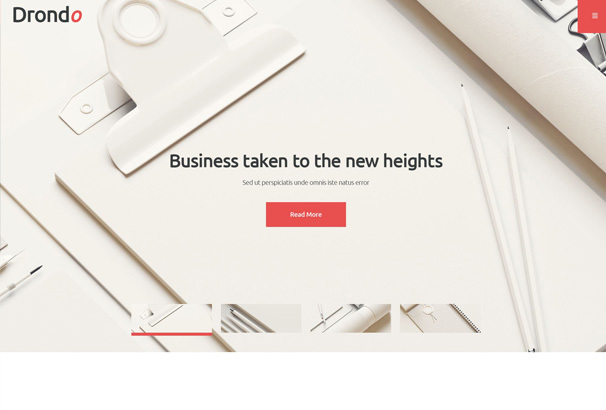 If you’re looking for a clean solution that puts the main focus on your products and services, consider this elegant theme to showcase your work. Architect has a bunch of useful features: mega menu, retina icons, Parallax section, counter, brands sections, tweets, team section with social icons, testimonials, grid-based portfolio, Google maps and contact form. Besides that, the theme has a super fast loading, fully responsive design, unlimited sidebars, various font icons, unique blog layout and unlimited color options. You can even add your sponsors’ logo easily if you are running multiple Adsense ads. 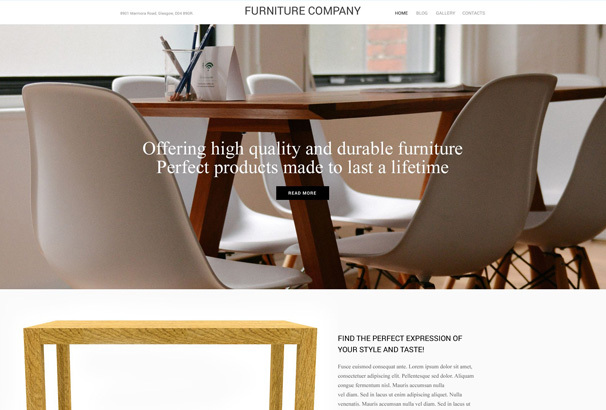 A fully responsive WordPress Theme that serves interior design and furniture companies well. 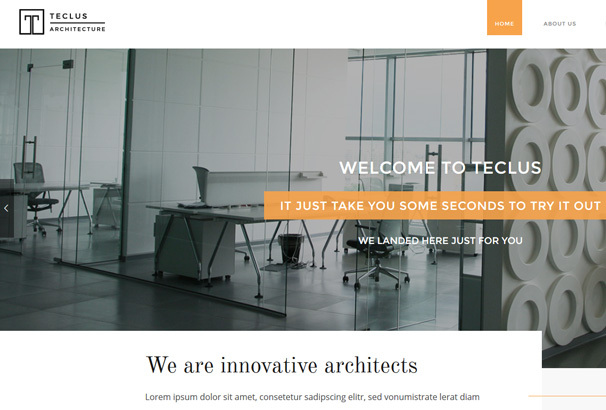 The template has a beautiful slider with various text options, along with responsive design, unlimited color schemes, custom post types projects, multiple widget areas, cross-browser compatibility and much more. It is specifically created for architects that want to display their projects in a classy way. 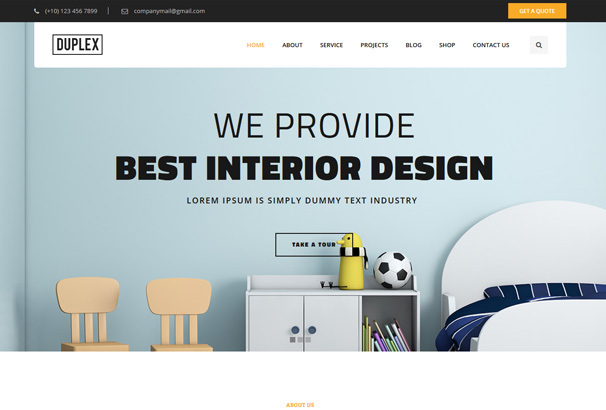 You will love to see this awesome professional WordPress Theme that creates a strong visual impact for your potential clients. The template consists of multiple eye-catching sections that showcase your services in a very appealing way. 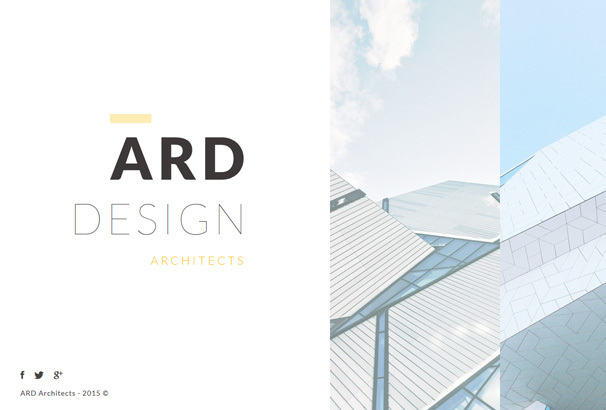 Being one of the most distinctive WordPress Interior Themes, ARD allows you to showcase your agency services in a fully responsive layout. With a clean and modern design, the template has outstanding functionality and customizability. It has integrated WooCommerce for selling your products. ARD core features consist of a visual composer, revolution slider, theme options, unlimited colors, easy installation, translation ready, unlimited Google fonts, sidebar features, and icons. You put an impressive amount of passion and dedication into the areas you design…Why wouldn’t you expand your digital presence? 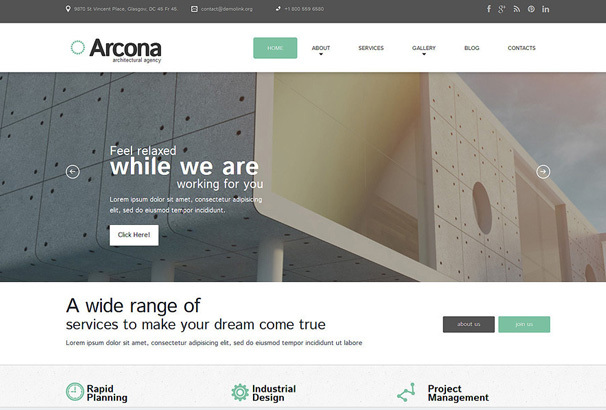 Arcona has all the needed features for any real estate or home design website. It is fully responsive, it has a retina-ready blog, optional sortable portfolio section, and multiple customization options that offer unique styles. 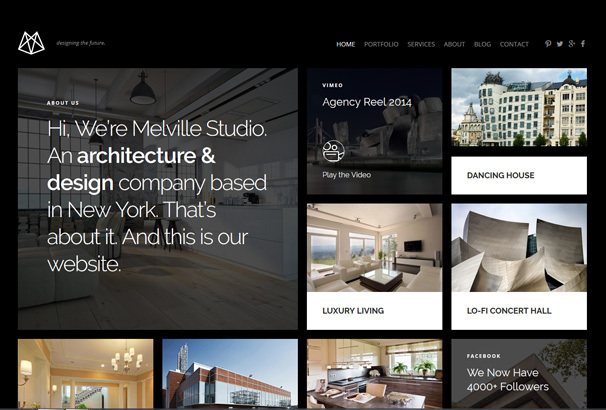 Melville is suitable for multiple companies, such as interior design, architectural, construction and any other creative companies. The template comes with a plethora of options to choose from, incredibly fast install, Visual Composer, demo data, filterable portfolio, grid system layout, contact form and much more. Fluid and seamless, Melville is a valuable resource for the fast creation of amazing websites with utter ease and no coding knowledge required. Dynamic, articulate and feature-rich, Archos is a splendid page builder, suitable for any business, construction and architecture company. It is specially build to let you define your own unique design curves and color style, as well as choosing from over 600 Google fonts. Suarez is a visually stunning and impressive template with a brilliant minimal design that will not bog you down in complex visuals. It is highly pliable and functionally versatile and it’s built for the latest web trends. Suarez is best suited for companies that need to project a polished professionalism while retaining a stylish, clear, and classy design. Minimalism can allow you to showcase your portfolio in a way you might not have before. 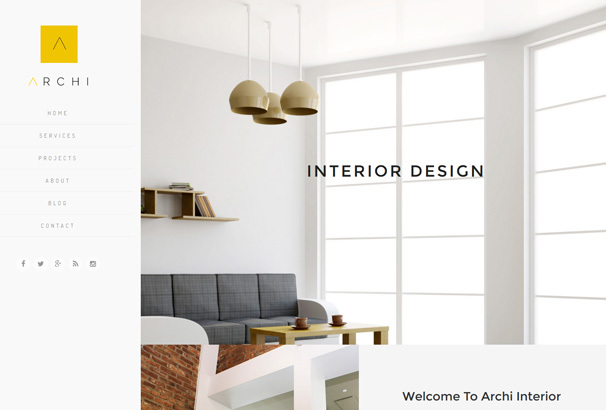 If you are looking for a WordPress Theme that has a clean yet impactful design that creates a strong sense of alignment with all its other headings and graphic components, Archi is the right choice! 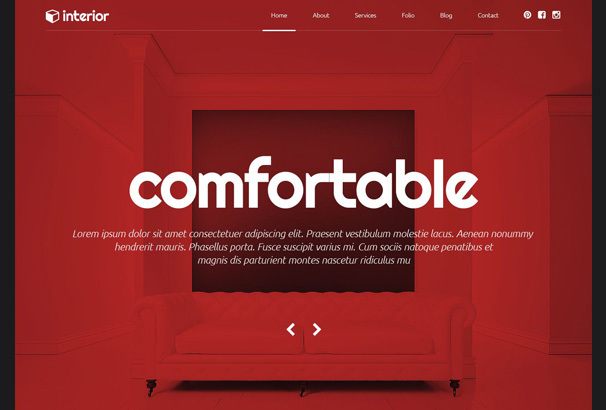 deKor is a lavishly, visually stunning and smoothly designed WordPress Theme. Its inherent adaptability and powerful elements makes it a complete solution for any professional that has no coding experience. DeKor’s highlight features include: responsive design, 5 home pages, Visual Composer, Revolution Slider, WooCommerce, Mega Menu, bbPress, Google fonts, WPML Support, font icons, RTL Support and detailed documentation. 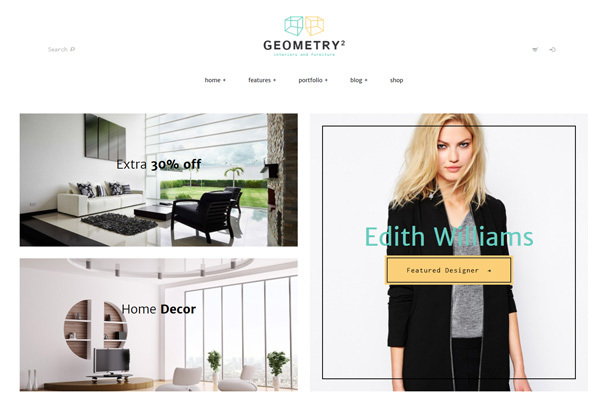 Suitable for interior design websites and blogs, Geometry will definitely turn your visitors into customers. If speed is your thing, you will sure love Geometry! 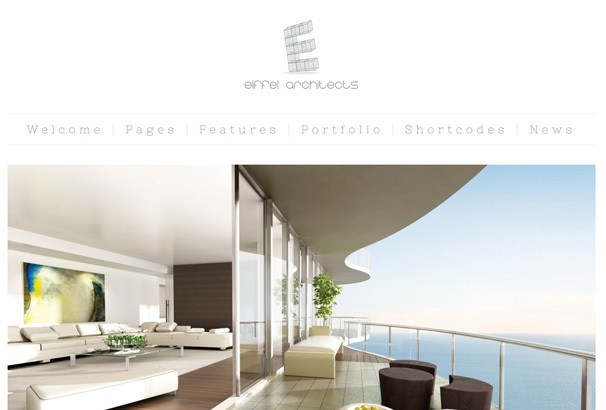 This theme is incredibly fast and updates your design changes in real time. You can rapidly create an interesting showcase introducing your work and portfolio. 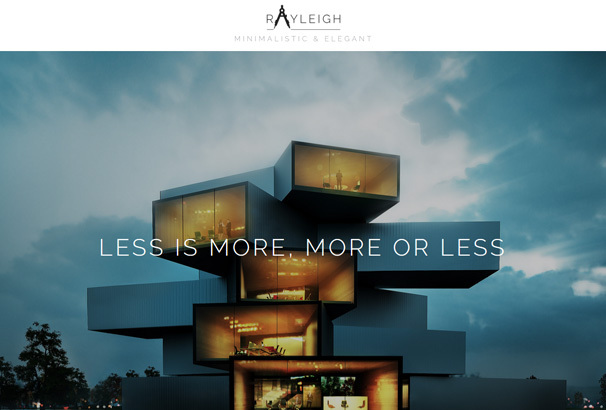 Rayleigh is an extraordinary solution for any interior design website. You can find many special, custom elements integrated in the Visual Composer, along with 7 page templates, animated menu, unlimited sidebars and cross-browser compatibility. It has a sleek, elegant design with perfect functionality. Minimal, impactful and stylish. This theme has it all: different portfolio styles, multiple blog layouts, personal profile, quality support, WooCommerce shop, drag and drop, translations & WPML, premium sliders, color management, animation, and various fonts. This theme puts focus on the architectural niche. It has enhanced accessibility, a wide array of features and plugins, and countless theme options. Eiffel is very flexible and has a clean design that allows you to place and organize all your vital elements. 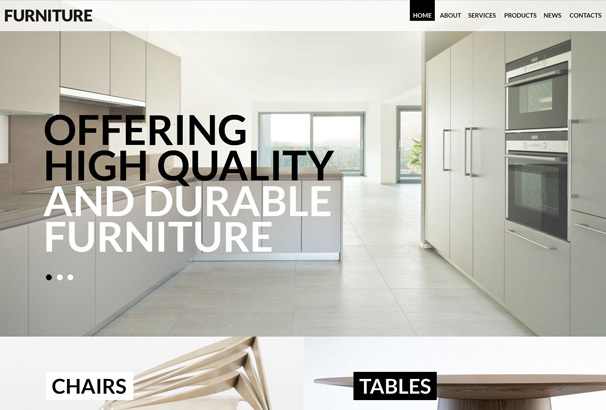 Focused on functionality, the H&D WordPress Theme is perfectly created for home and interior design companies that need fast and easy setup. Harrison can fulfill a variety of roles because it has a large list of features: pre-built layouts, aesthetic design choices, and limitless color schemes. 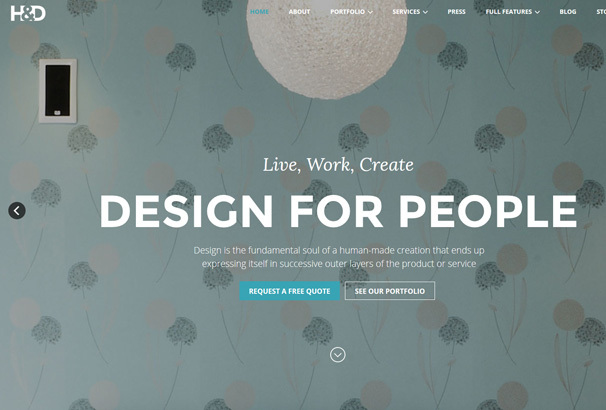 The theme comes with strong functionality that allows you to create a captivating portfolio. 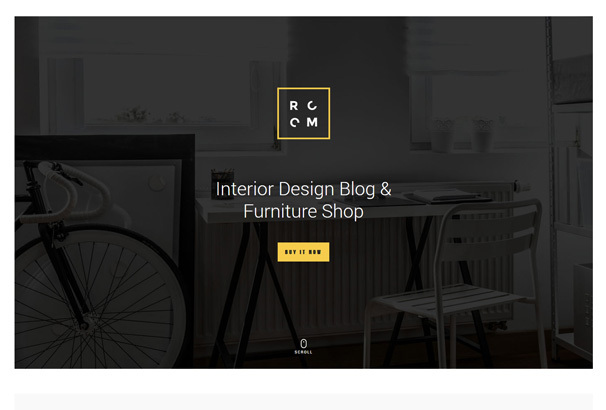 Room is a WordPress Interior Design Template with Retina Ready layouts, which is minimal and rich at the same time. The template comes with a great responsive layer slider. It has full support of WP Customizer, easy color change, various blog layouts, fixed sidebar when scrolling, and very fast page load. 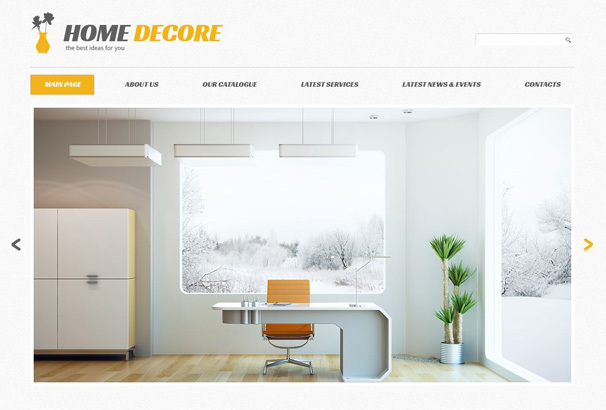 A bright and a trendy theme, ideal for Interior and Exterior Design services. It consists of various features, such as Visual Drag and Drop Composer, responsive slider custom brand color and Mailchimp plugin support. 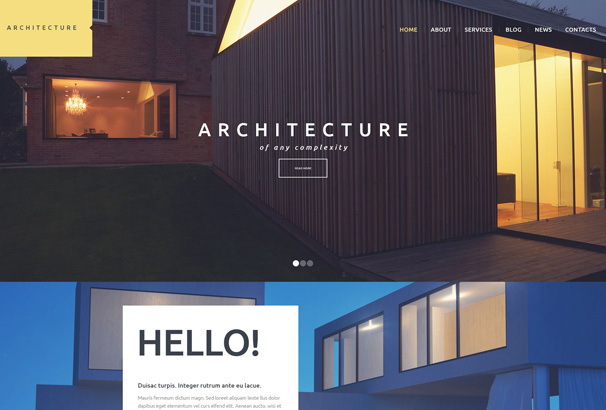 Duplex is a visually appealing WordPress Theme which is clean and creative at the same time. The template is specially designed to be used by interior design agencies that are willing to display their best projects. If you’d like to build a strong portfolio, you can fully customize it within minutes, with a few simple clicks. Moreover, it is perfect for multiple design styles. If you are looking for a dynamic interior design theme that comes with advanced features for editing, Drondo might be the right solution! You can change its appearance through the theme options and page builder tool, it is easy to set by anyone, you can adjust the settings without any struggle, plus it comes with lots of useful built-in features. 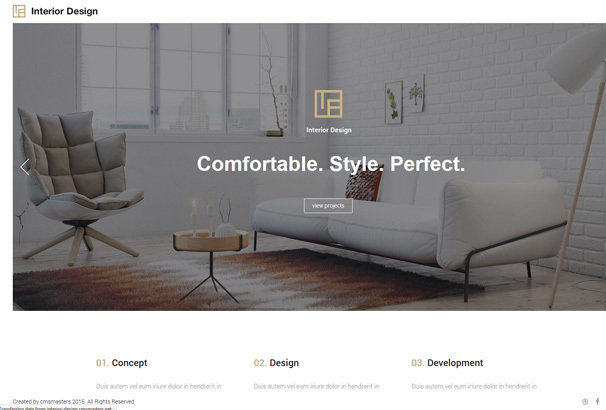 This simple and creative WP Theme is perfect for interior design companies that are willing to create a stylish and unique website. There is a balanced harmony between each page that creates strong and clear visual elements. You will also benefit of advanced styling options. Really Wonderful Themes For Interior Design. Thanks..
Do you have any that has Slider?